This delightful cinnamon-flavored treat is an almond lover's dream. 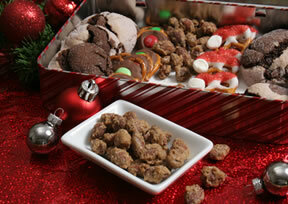 A perfect sweet and nutty treat for the holidays or for any special occasion. Preheat oven to 250 degrees F. and prepare a large baking pan by lightly greasing. In a large mixing bowl, beat the egg white just lightly and then add the vanilla; beat until the egg whites are just frothy. Do not beat until stiff. Add the almonds to the egg whites and stir until evenly covered. In a separate bowl, mix the white sugar, brown sugar, cinnamon, and salt together until evenly mixed. 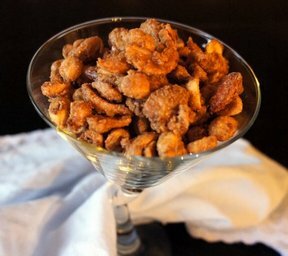 Sprinkle the sugar mixture over the almonds and stir all together until they are evenly coated. Spread the coated almonds out on the greased baking pan; spread out evenly. Place in the preheated oven and bake for 75 minutes. Stir every 15 or 20 minutes. The almonds should be golden brown when finished. 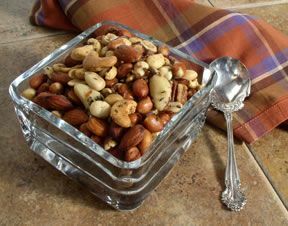 Allow the almonds to cool completely before storing them in an airtight container. Note: For easier clean up, use parchment paper to line the baking pan instead of greasing it. "These taste just like the ones you buy at Disney World but you get a whole lot more for the same price. Amazing!"